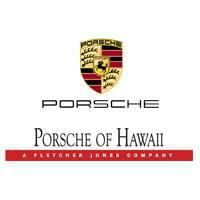 I recently had the wonderful experience of having my Macan serviced by Jason and team at Porsche Hawaii. I titled my review Anything But The Mainland because, I my experience with making the appointment was less that excellent. I'd received an email from Porsche saying it was time for my first service. I called the number. The gentleman who answered asked me what I was bringing the car in for. I told him that Porsche had sent an email. He asked me to find the email and read it to him. As I was driving, this was not possible. He looked up my account and determined why I was bringing my car in. I requested a time of 9:30. He said I could have 9:15 or 10 am. I took the 9:15. The next day, I went online and easily changed my time to 9:30. This is something he could have done. He asked if I needed a loaner; I said yes. When I got to the dealer, there were no cars available. Again,something he should have known. Once I checked the car in, all was good. Made even better when I asked If I could make an appointment directly in the future! Jason is the Super duper guy, I like the service he provided for me. Good explanation abut problem what my car had. He is easy to tolk to. He understand what I said. I just like the guy. Jason helped me to make a service repair from Maui to Honolulu a smooth and painless experience. He communicated often with updates and was very patient with all of my questions and concerns. Pleasantly surprised by the good service i received while bringing in my 991.2 for annual service. Jason and his Porsche Hawaii crew are really on it. The service dept and parts dept were excellent. All personnel, including the receptionist, and facilities were also excellent. Also, our courtesy shuttle driver, Jared, was extremely great.